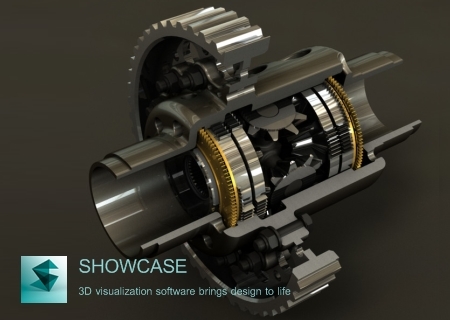 Autodesk Inc., a world leader in 3D design software for entertainment, natural resources, manufacturing, engineering, construction, and civil infrastructure, announced the release of Showcase 2015, software provides easy-to-use presentation and design exploration tools for architects, designers, engineers, and marketing professionals. With Showcase, users can quickly transform 3D CAD models into interactive walk-throughs and presentations, making it easier to evaluate aesthetic and functional aspects of the design in real time. Explore designs in context and in detail with real-world materials, lighting, and environments, and efficiently communicate design intent to peers, constituents, and customers to accelerate the approval loop. Enhancements include the ability to publish specific Revit views for visualization and to run multiple instances of Showcase 2015 simultaneously. Autodesk helps people imagine, design and create a better world. Everyone?from design professionals, engineers and architects to digital artists, students and hobbyists?uses Autodesk software to unlock their creativity and solve important challenges.